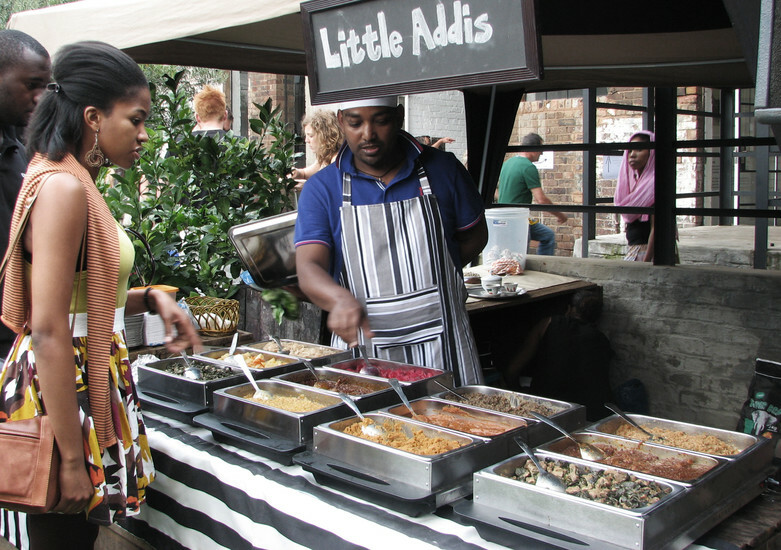 Chef Amsale Debela is a political refugee who literally walked from Ethiopia to South Africa. 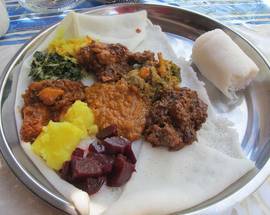 Berbere spice-laden Doro Wat chicken stews with injera-fermented pancakes are her specialty. Cnr Langermann Dr and Queens St, Kensington, tel. 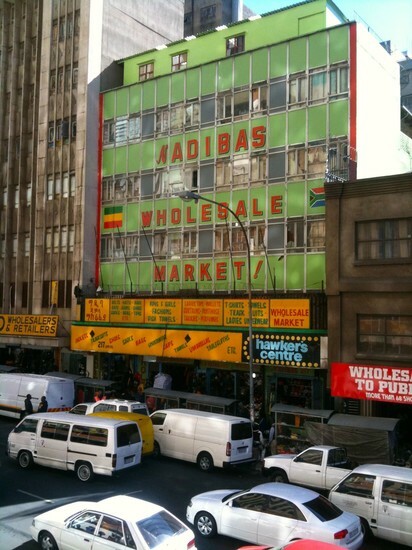 +27 72 918 8824, www.abyssinia.co.za. Open 12:00–22:00. R-RR. 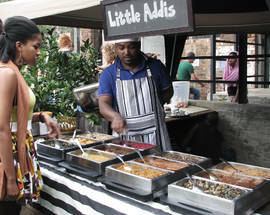 A tiny no frills Ethiopian café in fashionable Maboneng selling traditional cuisine in huge portions. The menu is brief and the welcoming owner, James Wondeson, is always on hand to guide you through the day’s specials. A tiny cup of their strong Ethiopian coffee is the perfect finish to a quick lunch. Maverick Corner, cnr Commissioner and Maritzburg Sts, Maboneng. Open 11:00-18:00. Closed Sun. 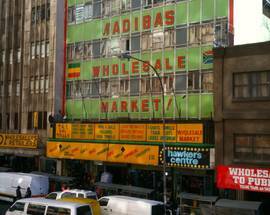 R.
A hole-in-the-wall-sized shrine to Ethiopian cuisine on Maboneng’s busiest street. 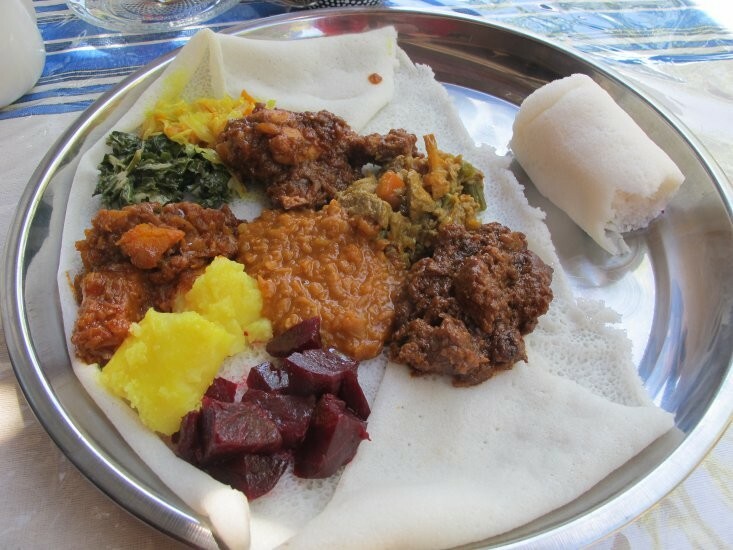 Try a meat or vegetarian platter served on spongy injera bread, giving you the chance to sample a variety of specialities, all made according to the owner’s family recipes. The restaurant is unlicensed but you can buy beers to enjoy with your meal from the bar next door. 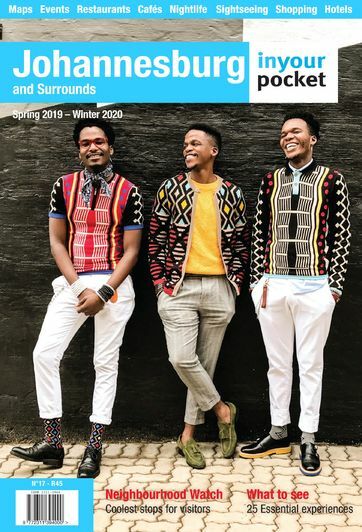 280 Fox St, Maboneng, tel. +27 82 683 8675 , www.littleaddis.co.za. Open 12:30- 21:00, Sun 12:30-18:00 (also at Market on Main). Closed Mon. R.